Aww shucks I think I found my mojo. I am working on a stadium blanket since it is football season and I am always at a football game 😒. 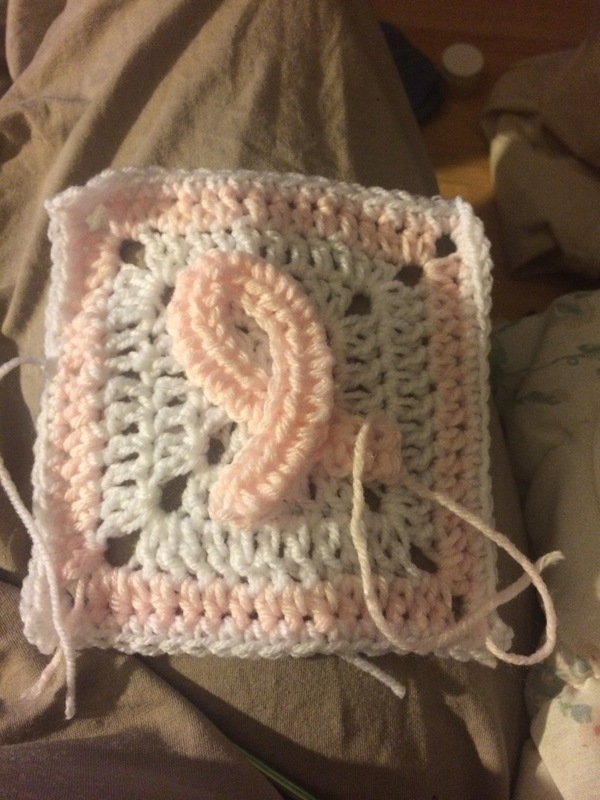 I am working on this pattern that I got an idea for. 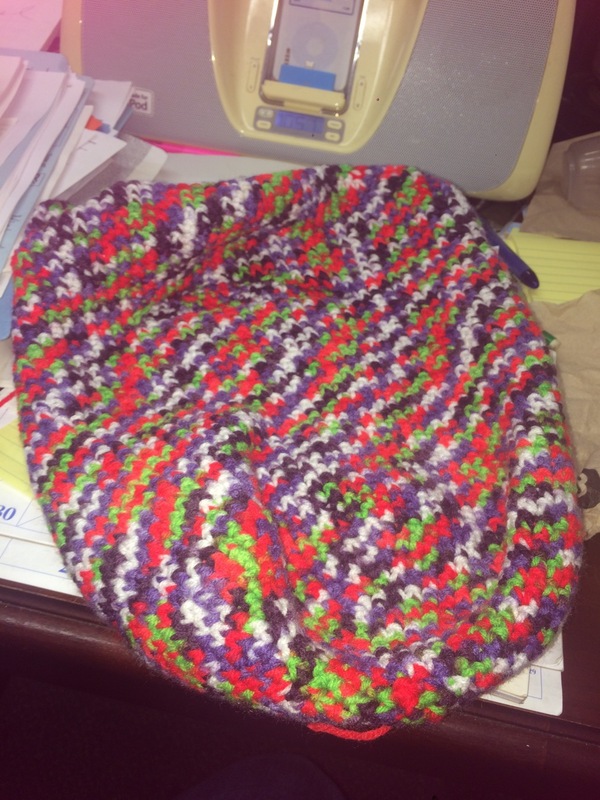 It is a stadium seat pad and a blanket in one. The neatest part is it folds into a nice portable bag as well. I haven’t taken pics yet but I will post them as soon as I finish the entire project. Right now it just looks like a big blob is nothing. I am also almost done with my teddy bear book bag and I made a matching pencil case. I find it funny when someone who I truly could careless about says they dislike me or has an issue with me. Don’t you I don’t think of you? Don’t you realize outside of you telling me I don’t even consider you relevant???!!! Keep hating and I will keep praying for you, while God keeps blessing me. I don’t know what is wrong with me here recently. I use to love to read and when it came to taking care of home, I was every woman. Recently I can’t focus to finish reading a book or focusing on anything for that matter. I can’t find my motivation or the energy to even look for my motivation. I am wondering why I always feel so tired now (I know I am getting older but darn this is rough). Then I also wonder if it has to do with me getting in shape. I might be using up my extra energy carrying around all this extra weight. Either way I have got to find a solution and a resolution and soon. Readers keep me prayed up thank you. Be blessed!!! There is a lot of cancer awareness information and stuff going around right now. Of course I am going to jump on the band wagon. I am contemplating getting my Etsy back up and running so I can sell some of my treasures. 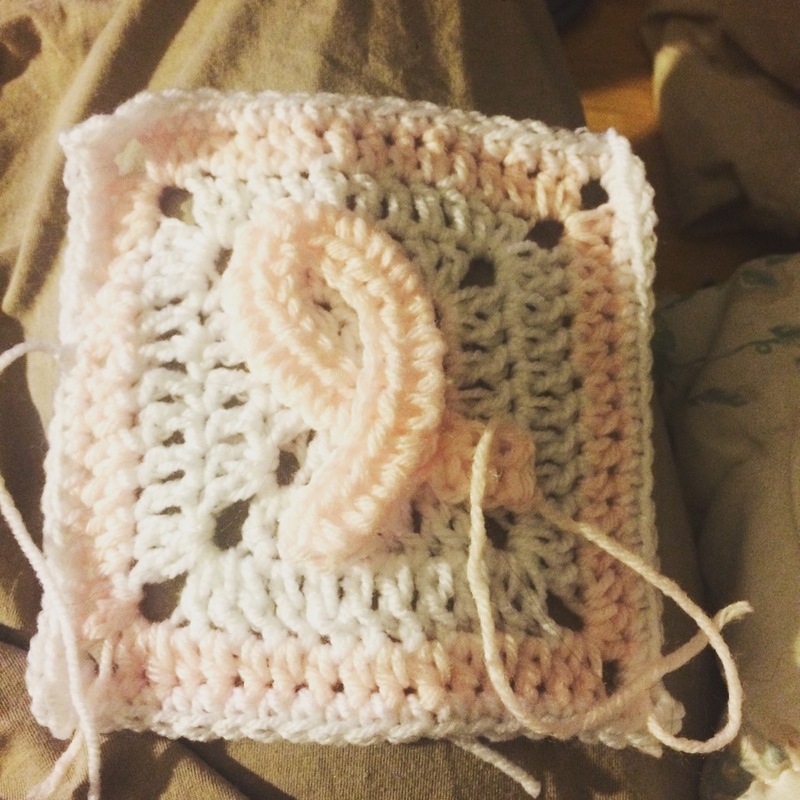 But here is my first breast cancer granny square. 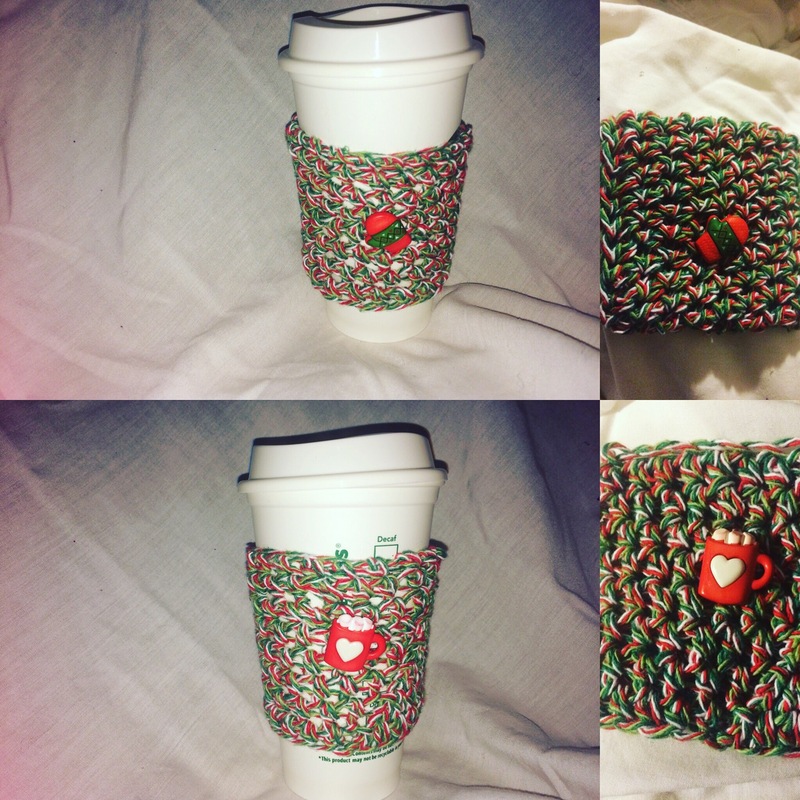 The link to the pattern is: https://youtu.be/FjPMMyjCUok. Yay!!! I know it doesn’t look like much but this is skein 27. I am hoping to have this project done this week, not a moment to soon either. This project looked really complex and I am only using a single stitch (which takes forever). But it really isn’t so bad and it’s mobile and thoughtless so I can take it along and not have to worry about losing my spot. Happy hooking!!! I love boxing. I have always loved boxing but I miss watching great fights for free. I would really like to view the Mayweather fight (especially knowing his plan to retire). However, I refuse to pay $65 to see Mayweather out smart (not out box) another fighter. He avoids being punched throughout the duration of his fights and then claims to be the best ever (TBE). He may have the record but he cannot compare himself to Rocky Marciano. Rocky got in the ring and retired undefeated while welcoming a brawl every step of the way. I respect Mayweather’s hustle but he has truly diminished boxing and its quality. His exit will be a welcomed change to me and I look forward to watching up and coming boxers. Boxers that are hungry and have the all or nothing attitude in the ring. Ones that come in and leave it all in the ring instead of looking like a track star. I am routing for Berto but in my heart I know the complex way that Floyd runs laps around the ring while gaining points through nothing less jabs will be hard to overcome. All this to say “Bye Floyd”!!! Yay!!! Two cup cozis are done with button and all. If this is your Christmas gift just act surprised.